199 p., 15,6 x 20,9 cm. Zur Entstehung und Bedeutung seiner hermeneutischen Kritik. Schlegel’s theory of understanding anticipated the fundamental ideas of modern philosophical hermeneutics. 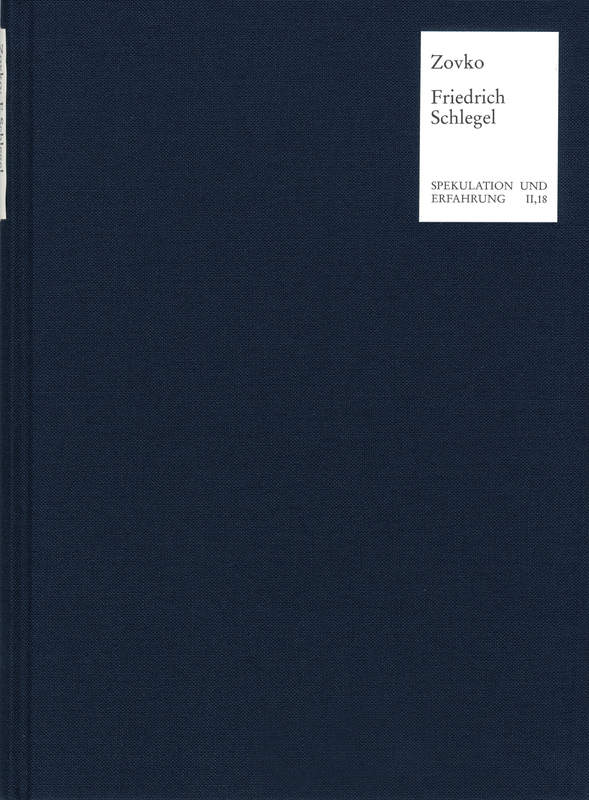 Schlegel developed his »hermeneutical critique« subsequent to the textual criticism and hermeneutics of classical studies (F. A. Wolf) at that time. In his »hermeneutical critique,« he deals with the creative process and man’s process of infinite becoming as well as the positive role of incomprehensibility, aspects which had an influence on the post-Romantic development of hermeneutics.